Manawatu Turbos' head of strength and conditioning Scott Pinfold is set to join Super Rugby franchise the Blues in 2019. 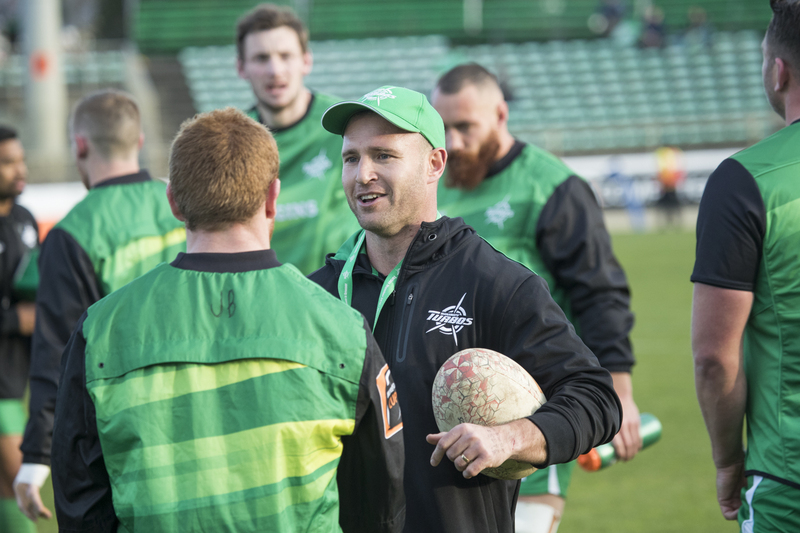 Pinfold, who has been with Manawatu Rugby since 2008, will be an assistant strength and conditioning coach at the Auckland-based franchise. For the 33-year-old, it was a prime opportunity to take the step up to Super Rugby, which has been his aspiration. At the Blues, Pinfold will work under experienced strength and conditioning coach Phil Healy whose career has included stops at Counties Manukau (2003-2008), the Chiefs (2009-17) and the Glasgow Warriors (2017-2018), the latter two involved working under former Turbos coach Dave Rennie. There will be a familiar face at the Blues with Turbos first five-eighth Otere Black signed with the franchsie for 2019. The move north ends a long association with Manawatu Rugby and the Turbos for Pinfold. Having first joined the provincial union after finishing his studies at Otago University in 2008, Pinfold was promoted to be the Turbos' head trainer in 2011. His stint as Turbos head trainer included 84 games, two trips to the Mitre 10 Cup Championship final and one Mitre 10 Cup Championship title. In 2017, Pinfold was named head trainer of the New Zealand Under 20s, who went on to win the Junior World Championship that year. He was also the head trainer for the team in 2018. The Manawatu Rugby Union is in the process of finding a replacement for Pinfold for 2019.